In 2012 in Russia there were interactive Furby new generation, which is funny talking in their native language verbose, sings, dances, responds to touch. Also Ferbey can change your character and able to learn. To the question, how many characters have with Furby, do not meet even the manufacturer of interactive toys. 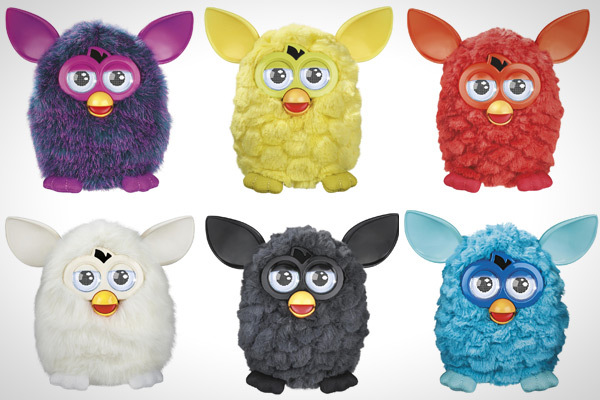 However, most owners claim that change the nature of Furby is possible in four different ways. To change the nature of the Furby can, making him certain manipulations. To make Furby kind, it is often necessary to stroke and speak kind words. It can be sometimes to feed, to stroke her back and tickle the baby's tummy. In this mode, the Furby is at the time of first inclusion. To make Furby evil character, you should pull its tail, shake and turn over. In his eyes, after a change of temperament will flame, he talks rough voice and an evil laugh. To change the nature of the Furby, making it crazy, constant feedings, tickling and turned over. In this mode, his eyes are different sizes and constantly spinning, and the laughter gets a little crazy. Also weird Furby makes funny sounds indecent. Furby, which often include music, allow you to sing and dance, becomes a star of the stage. In this mode, the monitors, the eyes of the toy can be seen Bouncing notes. Thus, to change the nature of Furby at any time, you do not need to wait for too long. After a few minutes, a kind of communication with the toy you can see how it will stand forever, his eyes often Samolet, he utters the phrase "My change". After the Furby opens his eyes, you will see the owner of the character has become Furby.